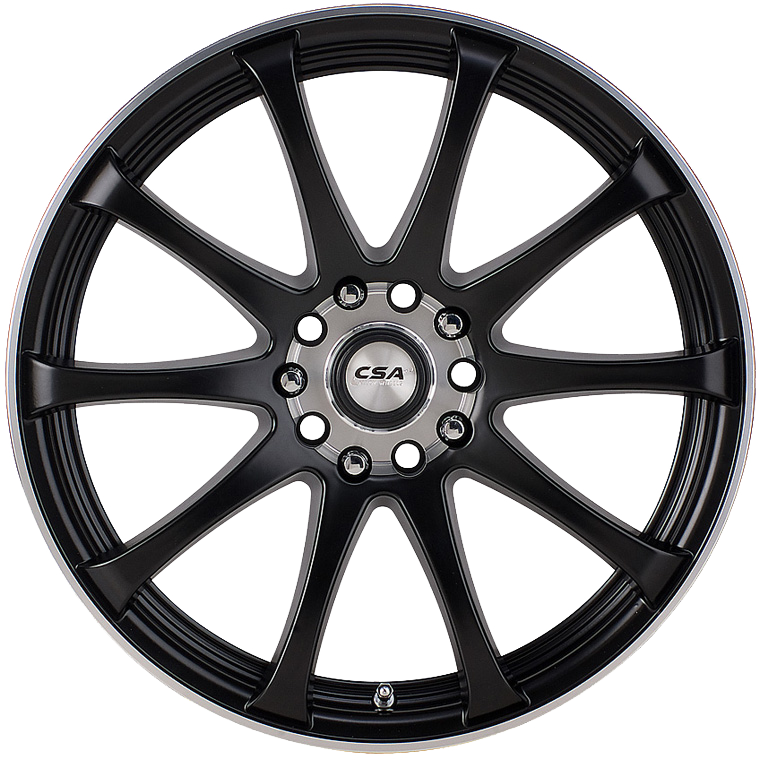 CSA Racetek is a smart, modern 10-spoke design, multi-spoke wheel finished in a stylish Satin Black all over paint finish with a striking machined bowl and machined lip. CSA Racetek is a smart, modern 10-spoke design, multi-spoke wheel finished in a stylish Satin Black all over paint finish with a striking machined bowl and machined lip. The Racetek wheel will suit most small to medium passenger cars and is available in sizes 15x6.5”, 16x7” and 17x7” sizes. The Racetek is load rated at 690 Kg and is suitable for small to medium car & SUV applications.